Mold Release, Ester Spray A4, Paintable, Large Tank, 60 Lb Nominal, 42 Lbs Net Wt. Use Where Parts Are to be Painted, Plated, Printed or Hot Stamped -- Even if Those Processes are Done Elsewhere in The Plant. Please Ensure Complete Evaporation Before Contact With Plastic. 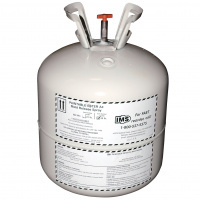 Allow Enough Ventilation To Exhaust Trichloroethylene Vapors. Ensure Compatibility of Your Plastics With Any Remaining Vapors or Unevaporated Liquid.